2015 Knights Valley Cabernet Sauvignon has aromas of ripe black fruit, mocha, dried herbs and licorice. Opulent but structured, this versatile wine has supple blue and black fruit notes accented by dark chocolate, roasted coffee and a silky, lingering finish. Beringer Vineyards has owned and farmed its Knights Valley vineyards since the mid-1960’s, when the Beringer family recognized that the cobbled alluvial soils were a great place to grow high quality wine grapes. The Knights Valley designation was first used on a Beringer label in 1974. Beringer was instrumental in garnering official recognition for the area in 1983 as a premier wine growing region in the form of its own American Viticulture Area (AVA) designation. This is a very fresh and bright 2015 with walnuts, fresh herbs and dark fruit. Full-bodied and dense, yet agile and layered. A beautiful wine. Love the texture. Drink or hold. Firm, rich and tightly focused on a core of vivid dark berry, light mocha and cedar flavors, finishing long and layered. A real treat. Drink now through 2026. 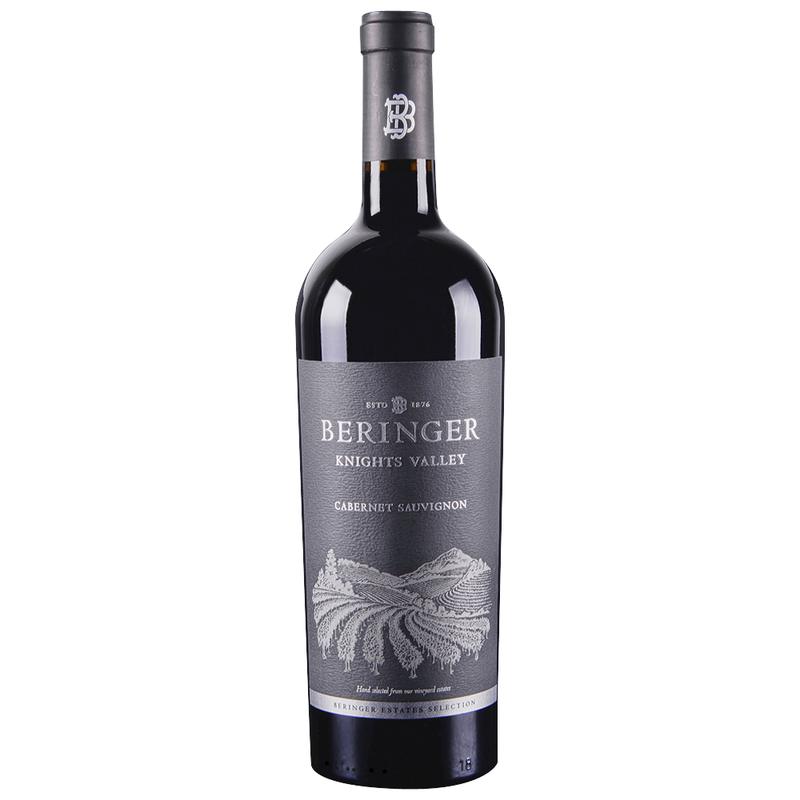 Beringer's 2015 Cabernet Sauvignon (Knights Valley), one of the estate's flagships, is deep, plush and enveloping. In 2015, the Knights Valley Cabernet is quite fruity, while the more mineral and savory notes that are so typical of this appellation aren't really present. It will be interesting to see if the 2015 develops more complexity over time. Black cherry, mocha, lavender and sweet spice build nicely as the wine opens up in the glass.